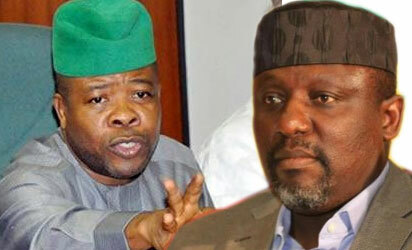 FIVE socio-political organizations under the umbrella of Imo Salvation Forum, ISF, have urged Imo Governor-elect, Chief Emeka Ihedioha, to probe Governor Rochas Okorocha’s administration when he takes over. According to a communiqué by the National Coordinator of the Forum, Chief Finbar Chidubem,who is also the president-general of Imo Prosperity Network,IPN, the stakeholders said the 10-point document is to set agenda for the in-coming governor so that he would be properly guided on the major aspirations of the people that gave him mandate. Other groups in the forum are Imo Sons and Daughters (ISD), Imo Peoples’ Congress for Development (IPCD), Imo Watchdogs for Transparency and Good Governance (IWTGG) and Women of Imo for Community Development (WICD). They said: “Having succeeded in overthrowing the evil rule, it is now time to take stock of what happened in the state in the past eight years which led to the brutalization of our people physically, mentally and psychologically. This is because, not doing so would amount to the greatest disservice to Imo people,” the communiqué stated. “We have gone round all the communities in Imo State. What everybody in Imo is demanding first and foremost is that Rochas be made to account to the people how he used the hundreds of billions of Naira that was entrusted to him on the behalf of our people for eight years. Why he spent billions of public funds to build useless statues of even criminals and outlaws in Owerri while the people suffered hunger and deprivation. Imo people want to know who Rochas allocated the hundreds of landed properties he revoked from authentic owners in and around Owerri,” the communiqué said. Apart from probing the out-going governor, the Forum listed other important matters that the in-coming governor should address to include reform of the state’s civil service, review of the system of salary payment, nepotism in appointment of public office holders, land allocation/acquisition in the state as well as accountability in award of contracts, among others.